As some of you may know on Saturday 9th September and the following Sunday the High Wych scarecrow and flower fesstival will be held. Scarecrows will line the road from The Hand and Crown Pub to High Wych School and along High Wych Lane up to The Manor of Groves Hotel. The centre of the festival will be St James’ Church. The churchyard will also be decorated with scarecrows and there will be stalls from local organisations. The Sawbridgeworth Local History Society will be there as well. 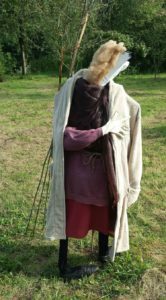 The SLHS will have its own scarecrow in the shape of Asgar the Staller who was the first known “Lord of the Manor” in these parts. See above for a picture of Asgar’s scarecrow. Asgar fought on the side of a famous king during a famous battle against the forces of another famous king. We are not telling you more than that as there will be a quiz to answer and a prize to win. Participation in that quiz will be limted to children below the age of 16. So why dont you come along. 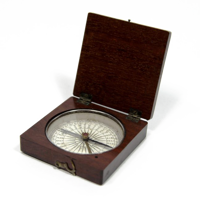 Apart from that there will be photographs and maps from the olden days to look at and friendly people to talk to. You might even want to join the ranks of our society!!! We have 3 books for sale, click here for more info. In the course of our research on 'fallen soldiers', we came across many more soldiers’ stories than we were able to publish in the book. That is why on this website we have published a 75 page article by Douglas Coe listing 145 soldiers’ stories in more detail. If you would like to read this article, for example to find out about your own relatives, please click here. Click above for an interactive map!